For a second consecutive year, AGS Malaysia won the Silver Trophy in the HR Vendors of the Year Award, a prize that rewards the excellent work of the Malaysian team. 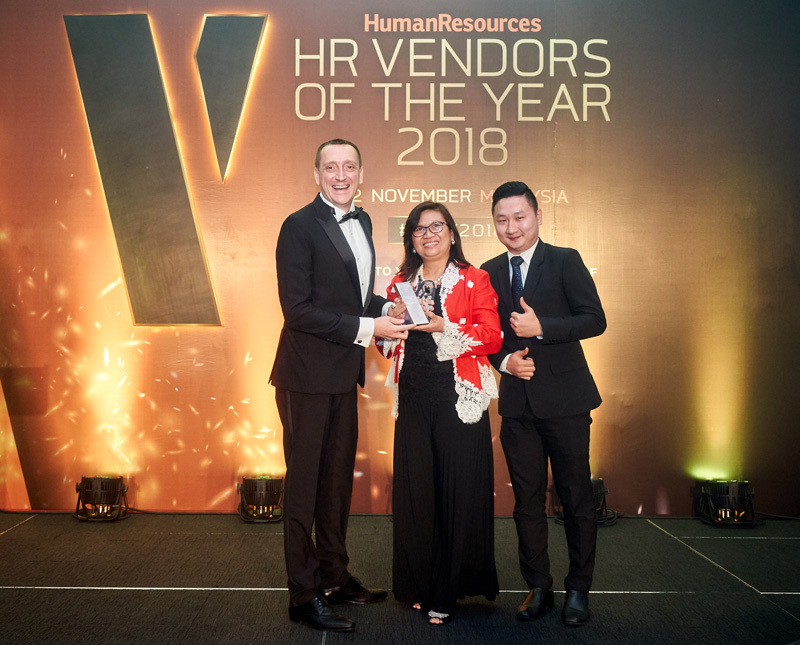 AGS Movers Malaysia has recently won the Silver Award in the “Best Relocation Company” category at this year’s HR Vendors of the Year Awards in Kuala Lumpur, Malaysia. The event, which took place on 22 November 2018, acknowledges the most trusted HR solutions providers. Winners are selected by taking a range of criteria into account including commercial performance, product or service development, people and perspective. AGS Malaysia, presented in the “Best Relocation Company” category (“Workforce mobility” section), is distinguished by a multilingual staff (five languages are spoken at the agency), various training programmes for employees and a strong social involvement through various sponsorships. The AGS Malaysia team is proud of its second place accomplishment. The motivation and enthusiasm of the team, led by Branch Manager Cyril Quenneville, suggests that they will perform even better in future.